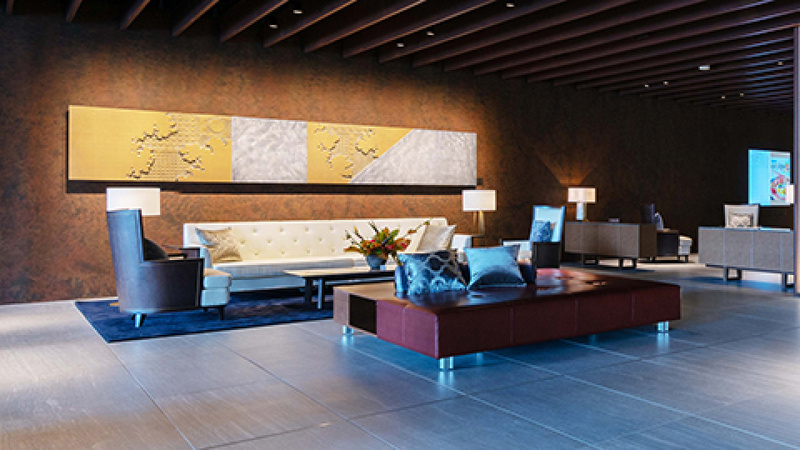 Depart from your preferred airport for an overnight flight to Tokyo, arriving on day two. 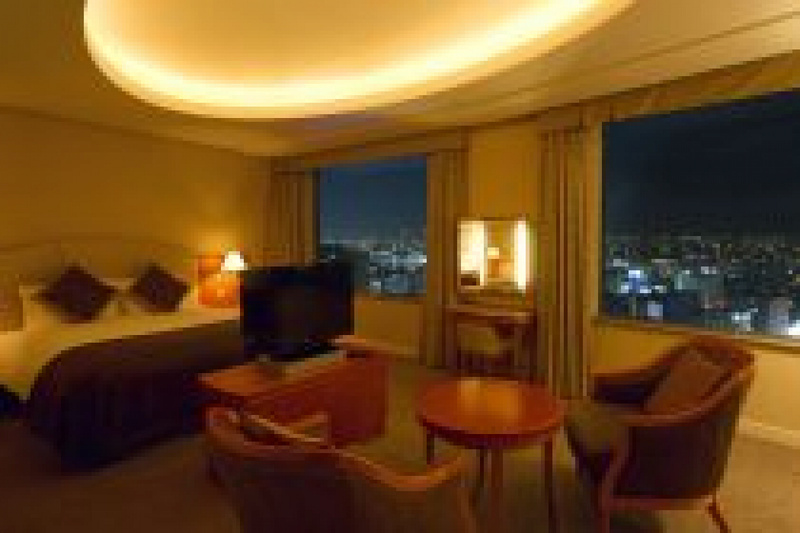 Arrive at the airport in Tokyo, take airport bus which has frequent service to your hotel. Your guide will meet you at your hotel, and take you to a guide tour in the morning, visiting Tokyo Tower, Meiji Shrine, Akasaka Guest House and the National Diet Building, home to the Japanese House of Parliament. Your tour continues to the Imperial Palace East Gardens and a drive and stroll along Ginza high street. Afternoon is free at leisure, or take an optional afternoon Tokyo city tour. You are welcome to ask for details at time of booking. In the afternoon proceed to the Hakone National Park where you will take a cable car ride with the opportunity to see the magnificent volcanic Hakone mountain range below. You will then travel to the Owakudani Boiling Valley and afterwards take a boat cruise on Lake Ashi. After the tour transfer back to Tokyo. Today, a bullet train (reserved seat) will bring you to Hakodate, the gateway city in the South of Hokkaido. After check in, explore Goryokaku Park, an important historical site and also one of Hokkaido's best places to view cherry blossoms in May. Before Sunset, be sure to go to the ropeway up its mountain for spectacular night views over the city. To soak up Japanese culture and experience top Japanese cuisine, you will be dining at the Michelin starred restaurant who serves kaiseki cuisine with local specialities from Hakodate Port, the best fishing port in Hokkaido. It will be a one-of-a-kind experience that hard to forget! After breakfast, take a stroll from your hotel (close by) to Hakodate Morning Market. The market opens around 6am each morning, sells frsh vegetables, fruts and many interesting types of seafood. Hakodate is renowned for squid. You can sample the squid ice cream here. There are also many restaurants and souvenir stores. Check out your hotel later on, and pick up your hired car. Before heading to Toya-Usu Unesco Global Geopark, take a detour to Hakodate Jomon Culture Center. Jomon Period is a stone and earthware age beginning around 12,000 BC. Many Jomon-era ruins have been discovered and a variety of artifacts can now be seen at this facility. If you are interested in seeing what a typical meal is like in a Hokkaido fishing town, and enjoying home style Japanese cuisine, you can meet local people and try Japanese food prep and have your own cooked lunch. Booking in advance is essential. 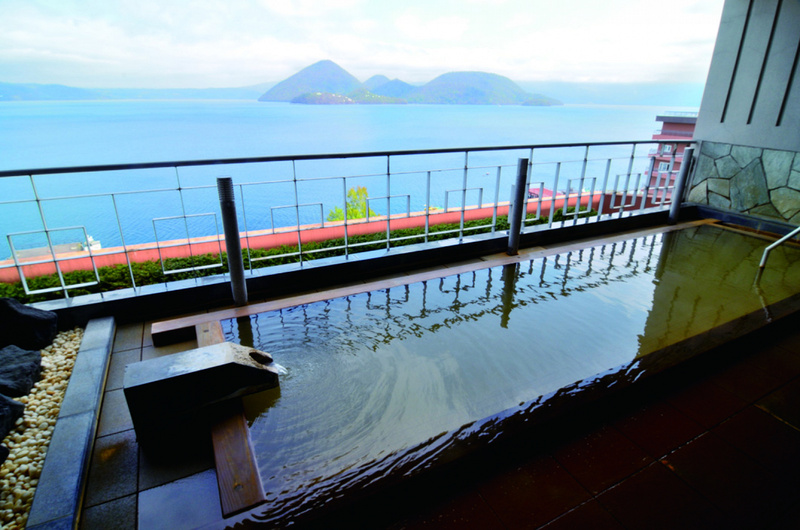 Further your onwards journey to Lake Toya, a caldera lake formed by an eruption 110,000 years. Volcanic activity can still be seen here today. Waking up in your hotel room with waterfront views out to Nakajima Island, ready to explore one of Japan’s most picturesque Geopark. There are many activities to choose from, hike up its volcanic slopes, cycle its shores or cruise out to its island centre. As you admire the beautiful landscape, you can learn about the connections between humans and natural disasters and how eruptions have fertilized the area’s soil and nurtured its fishing grounds throughout history. A ropeway is available to provide accessibility for wheelchair users and other people of all ages. Your hotel is your retreat for true relaxation, where you enjoy onsen hot spring before fine dining on local fresh cuisine. Saying farewell to Mt Toya in the morning, you will drive along beautiful sceneries and come to Niseko. Niseko is getting very popular as a skiing resort in winter. But with the landscape, you will be keenly aware the vast dairy farming in Hokkaido. Stopping by Takahashi Dairy Farm to enjoy a delicious ice cream with picturesque view of Mt. Yotel. Next stop to Otaru. Hopefully you are interested in sampling Sake? Tanaka Sake Brewery produces several different styles of sake. Running the gamut from dry to sweet, Tanaka Sake Brewery has something to suit all tastes. Enjoy a tasting with 10-15 types of sake. The brewery building has been designated as a Historic Building of Otaru City, and you can watch the sake being brewed by the same method as the brewery’s early days. There are even exhibits inside the brewery, offering a glimpse into modern Japanese history. Otaru is a port city known for producing ornate glassware and traditional music boxes. Make sure to visit the shops here, you will be amazed with the vast selections. A great place to pick up precious gifts. If you are interested, a workshop visit can be arranged. Continue your drive and arrive Sapporo in evening. Enjoy a delicious dinner at the lively Sapporo Beer Garden, which surely will lift up your spirit! Take a trip to Arte Piazza Bibai. This gallery exhibits the works of Kan Yasuda, a Japanese artist who studied in Italy and carved his ideas into marble. All of Yasuda’s statues are made of marble, a pure stone used for famous classical works such as Michelangelo’s David statue. The statues are nestled amid the stunningly beautiful scenery of the park, creating a real East-meets-West experience. Another recommendation for you is a drive to Hill of the Buddha, designed by world-renowned architect Tadao Ando. This contemporary work of art encapsulates the image that outsiders have of Japan, combining the Buddha with a natural landscape. The head of the Buddha is visible against backdrops of new greenery in spring, lavender in summer and brilliantly white snow in winter, creating a quintessentially Eastern scene that will take your breath away. Soup curry is a dish invented in Sapporo that has now become famous throughout Japan. Rakkyo is a particularly famous soup curry restaurant. Check out hotel and drop off your car. Take a flight to Tokyo and enjoy your fee time before fly back home. There are many optional guided tours available from Tokyo, such as full day tour to either Nikko, or Kamakura, tickets and package to Tokyo Disney, pre booked tickets to Ghbli Museum etc. If you wish to visit Kyoto, a round bullet train reserved tickets with accommodations and tour packages (2 or 3 days) are available to book. You are welcome to ask for details at time of booking. 9 nights accommodation in deluxe hotels with daily breakfast. 4 dinners including 1 full course Japanese dinner at Michelin starred restaurant, 2 nights dinner in your deluxe hotel and 1 dinner at Sapporo's top restaurant. 1 lunch while on Mt Fuji & Hakone full day tour. Professionally qualified English speaking Guide and escorted tour for Day 3 and 4. Bullet train ticket (reserved seat, 2nd class) from Tokyo to Hakodate. Personalised itinerary and maps for Hokkaido, with private guiding and optional sessions available on request. Flight ticket from Sapporo to Tokyo. International flights. These can be provided by us with Full ATOL Protection. TOKYO - Keio Plaza Hotel, Hakodate - Hakodate Kokusai Hotel, Toyako - Nonokaze Resort, Sapporo - Prince Hotel. Travel style: Combination of guided tours, pre-reserved bullet train tickets and self-drive in Hokkaido region.